Jurors are now deciding the fate of New Jersey Sen. Bob Menendez. Brian Thompson reports. 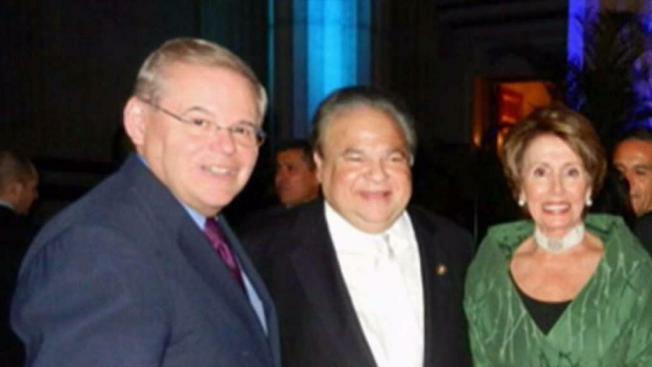 A jury that has listened to nine weeks of testimony and evidence is expected to begin deliberations Monday in the bribery trial of U.S. Sen. Bob Menendez and a wealthy friend. If Menendez is convicted and steps down or is voted out by a two-thirds majority before New Jersey Gov. Chris Christie leaves office Jan. 18, the term-limited Republican could appoint a replacement. Menendez is charged with accepting gifts from Melgen, a Florida eye doctor, over a seven-year period in exchange for pressuring government officials on behalf of Melgen's business interests. Melgen also contributed more than $600,000 to political organizations that supported Menendez directly or indirectly. 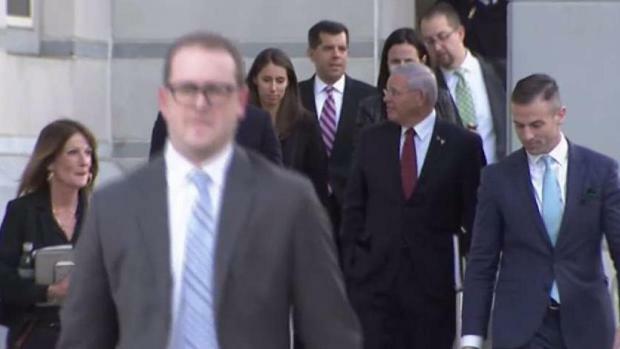 Prosecutors characterized Menendez as Melgen's "personal senator" in closing arguments. They allege he accepted lavish vacations, flights on Melgen's private jet and other gifts and repaid Melgen by pushing executive branch officials to resolve the doctor's $8.9 million Medicare billing dispute and other issues. Both men deny any bribery arrangement and say the gifts are reflective of their longtime friendship. Menendez contends his meetings and interactions with officials from the departments of state, commerce and health were on policy issues and not to lobby for Melgen. In their closing arguments last week, Melgen's attorneys accused prosecutors of lying to jurors by tailoring disparate facts to fit their narrative of the alleged bribery scheme. Menendez served in the U.S. House from 1993 until filling the Senate seat vacated when Democrat Jon Corzine became New Jersey governor in 2006. The trial is the first major federal bribery trial since a 2016 U.S. Supreme Court decision overturned the conviction of former Republican Virginia Gov. Bob McDonnell and narrowed the definition of official bribery.